Home > CULTURE > Mario was meant to be Popeye! With Mario being the best-selling video game franchise of all time, it is interesting to explore the start of Nintendo’s most iconic figure. With the Mario series counting to almost twenty original games and with Mario having appeared in over 200 other video games, the success is overwhelming. But Shigeru Miyamoto (Mario’s designer) first intentions about Mario were slightly different from what happened in the past and had amazing effect on the whole video game industry. In 1979 Nintendo produced an arcade Video game called ’Sherrif’, which was rather unpopular due to a difficulty in handling 8-way joystick. Trying to achieve similar success as Pac-Man (1980), Shigeru Miyamoto, who was already responsible for the art in ’Sherrif’, wanted to create a best-selling video game. His primary focus was to acquire license to use the characters Popeye, Bluto, and Olive Oyl. Failing to do so, he thought of a similar triangle scenario and made the characters Donkey Kong, Mario and Pauline. Donkey Kong is resembling Bluto, Mario – Popeye and Pauline was meant to be Olive Oyl, same as Popeye trying to rescue Olive while engaging in fights with Bluto, Mario’s aim was to get back his girlfriend. 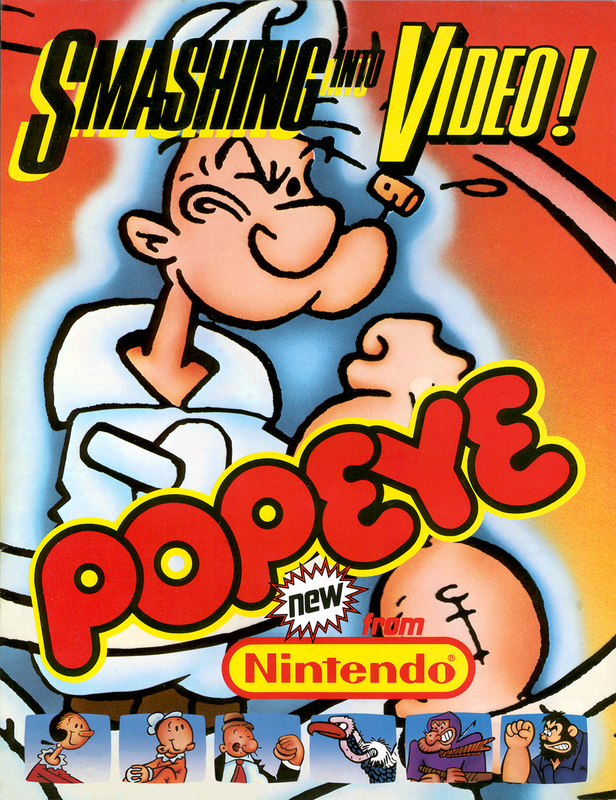 Only after Donkey Kong had enormous success, the print syndication company ‘King Features’ which held the rights to Popeye, agreed to license the characters of Popeye to Nintendo. A Popeye arcade game was then created in 1982. Unfortunately, this was too similar to Donkey Kong, which therefore did not excite player enough with new game play. Though in 2002 Popeye was ranked #20 in ’50 Greatest Cartoon Characters of All Time’ by TV guide, an American television guide magazine, it is not comparable to Mario’s popularity today. Or can you imagine Popeye driving in Mario Kart, jumping and running in Mario World or dealing with bacteria and viruses in Dr.Mario?